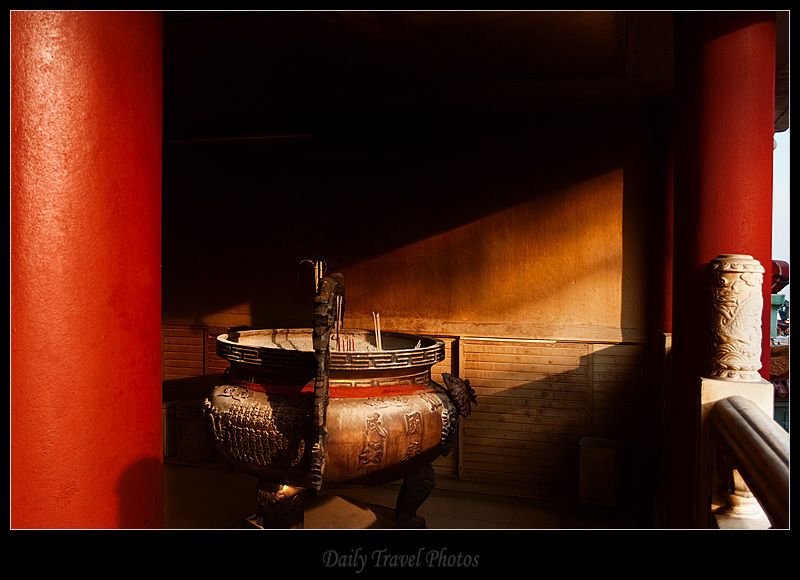 Late evening light beautifully illuminates a dark corner of the Tua Peh Kong Chinese Temple in Borneo. Love the photos! I started clicking through your site, and got completely hooked! Going to Cambodia in a few months, so I was especially excited to see those photos! Thanks for the feedback! It's good to finally know some people are actually enjoying these photos.